The Dance Dome is a new collaboration between multimedia company 4π Productions and Coreo Cymru which promises to take the best of Welsh contemporary dance and present it to its audience in full 360 degrees. 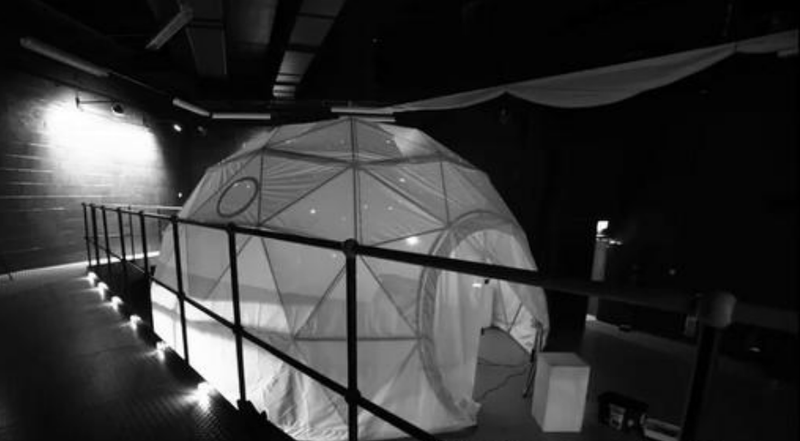 The Dance Dome is a portable 360° immersive cinema, developed to surround its audience in the most cutting edge dance films ever produced in Wales. Last year we produced two dance films commissioned by Coreo Cymru, featuring the award winning choreography of Tanja Raman & Sandra Harnisch Lacey, mixed with the stunning backdrops of Wales shot by an international film crew including Academy Award Winning film maker Bill Mitchell. In 2013 we are adapting to fulldome Earthfall´s most critically acclaimed stage production to the film ‘Pal o’ Me Heart’. The Submergence Tour will be surrounding its audience across Wales and beyond from early 2014.